Hindle Reman offers crankshaft grinding on all types of crankshaft, from single-cylinder motorbike cranks right through to large marine and industrial crankshafts measuring up to five metres in length. All crankshafts are checked and inspected to ensure they are acceptable for re-use or repair. Firstly, we perform a magnetic particle inspection (mpi) on the crankshaft. If it passes this test we check all the critical dimensions required by the manufacturer, such as main and big end sizes, bend, radii, hardness and seal areas. The crankshaft can then be polished or reground to the manufacturer’s specifications and, if appropriate, new bearings can be supplied. 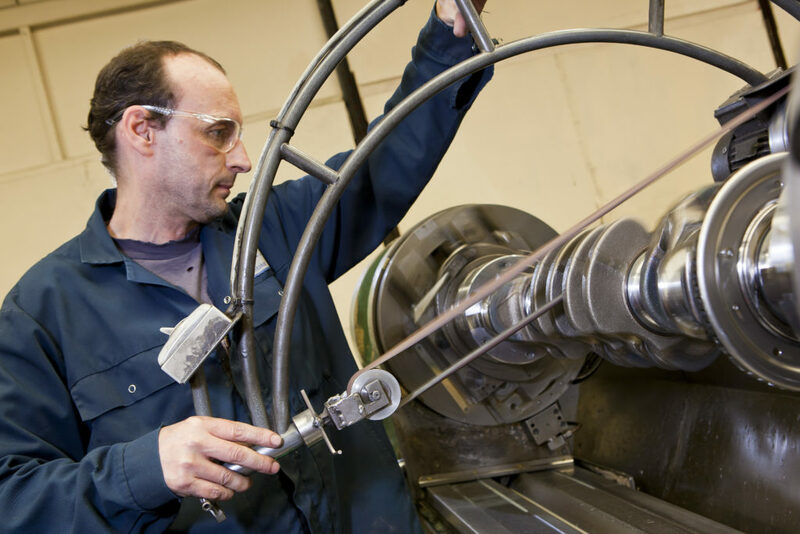 We can carry out additional crankshaft repairs, as required, including straightening and reclaiming seal areas using the metal spray process. We carry out precision grinding on many makes of crankshaft, including Jenbacher crankshafts, Cummins and Caterpillar crankshafts. Many of our Cummins and Caterpillar crankshafts can be supplied with appropriate bearings from Interstate Mcbee at no extra cost. 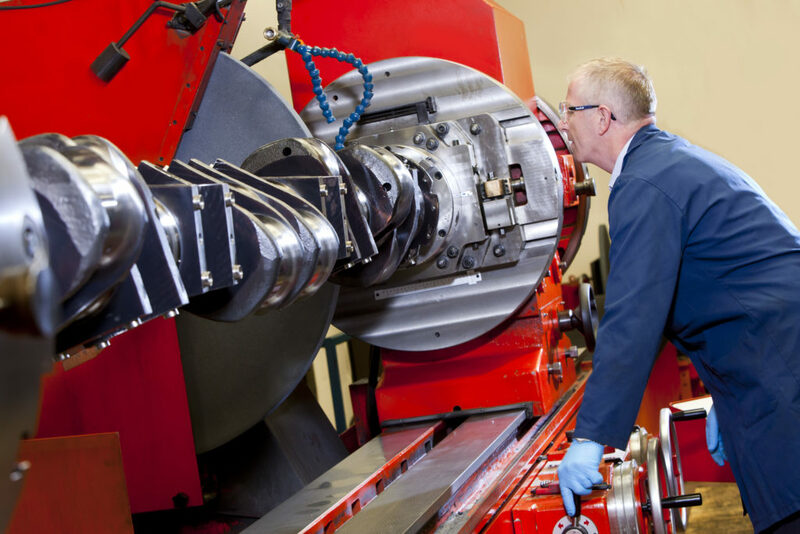 For crankshafts that require it, we can arrange inspection by certification bodies such as Lloyds, BV and others.